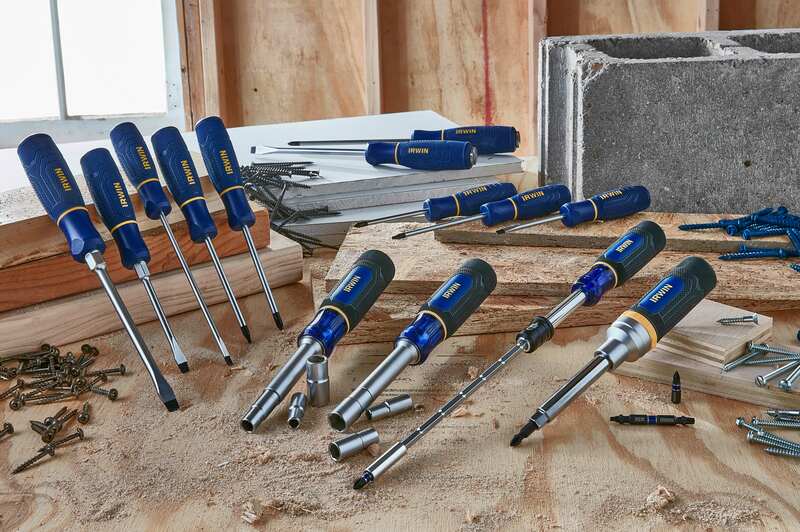 HUNTERSVILLE, N.C. - Irwin Tools, a manufacturer of hand tools and power tool accessories, announced the launch of four new innovations to its Performance Series Screwdriver family. Featuring a 3-Zone Comfort GripTM for increased grip support and more control, the new screwdrivers offer a user-friendly, multi-tool design to accommodate a multitude of tasks tradespeople might face on the job. The latest innovations include the Irwin Extending Driver, Irwin 8-in-1 Ratcheting Screwdriver, Irwin 6-in-1 Nut Driver SAE, and Irwin 6-in-1 Nut Driver Metric. The Performance Series Screwdriver features heat-treated precision tips, chrome-plated shafts, performance grip for comfort and control, and an acetate core for durability. • Irwin Extending Driver: With a shaft that can increase from five to 11 inches, the extending screwdriver allows users to access hard-to-reach places and tight spaces. Its quick-locking mechanism locks the shaft into seven different lengths to easily accommodate the user’s need. The driver is insert- and power-bit compatible and includes five insert bits: 6-8 Slotted, 8-10 Slotted, and #1, #2, and #3 Phillips. • Irwin 8-in-1 Ratcheting Screwdriver: Users require a variety of tip types and sizes on the job. While multi-drivers are popular, unique bits can be impossible to replace. The Irwin 8-in-1 Ratcheting Screwdriver, featuring a three-way ratcheting mechanism, has convenient and compact storage for two double-ended power bits. 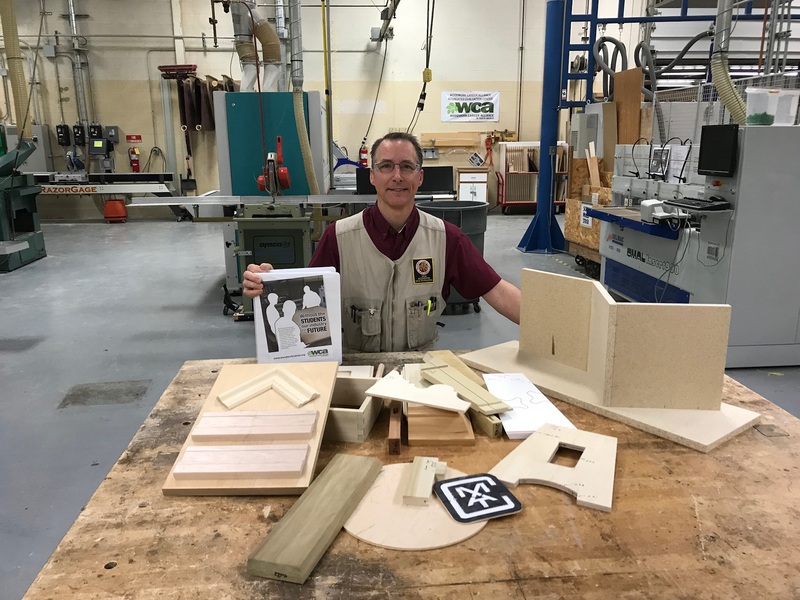 These bits are not only easy to replace, but are also compatible with power tools. Convenient and compact in-handle storage provides quick and easy access to two double-ended impact power bits, one insert bit, and three nut driver sizes. The 8-in-1 Ratcheting Screwdriver includes: #1 and #2 Phillips, ¼” Slotted, T25, #2 Square, 1/4”, 5/16” and 3/8” Nut Driver. • Irwin 6-in-1 Nut Driver SAE and Metric: The Irwin 6-in-1 Nut Driver provides six different nut driver sizes in one compact hand tool with in-handle storage for double-ended sockets. The SAE model includes sizes: 1/4", 5/16", 11/32", 3/8", 7/16", and 1/2". The Metric model includes sizes: 6mm, 7mm, 8mm, 10mm, 11mm, 12mm. The new Performance Series Screwdrivers include the Irwin hand tools’ full lifetime guarantee and are currently available at construction and industrial tool suppliers, home centers, hardware stores, and throughout the U.S. and Canada. Warranty information and additional product details can be found at www.irwin.com. Irwin Tools, part of Newell Brands, manufactures and distributes a broad line of hand tools and power tool accessories under the Irwin brand including Vise-Grip pliers and wrenches, Marathon saw blades, Quick-Grip clamping tools, Speedbor wood drilling bits, Strait-Line marking tools, Unibit step drill bits, Marples fine woodworking tools, and Hanson taps and dies.